Can you water your lawn too much? How much water does your lawn really need? A lot less than you might think–about an inch to an inch and a half a week. 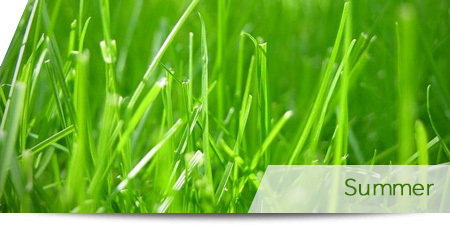 Does the cutting height of your grass make a big difference? The general rules of thumb for mowing lawn grasses are to mow high, mow as frequently as needed, and allow the clippings to return to the lawn. Grass clippings: bag them or leave them? Contrary to popular belief, returning clippings to the lawn does not contribute to increased thatch formation.